In early fall, in Maine’s far northern Aroostook County, schools close for “potato recess”—also known as harvest break—as students help out with the potato harvest. It’s an annual tradition for one of America’s most beloved crops: the humble potato. The potato has come a long way to be a very popular vegetable in the United States and throughout Europe. But that wasn’t always the case. While the potato was becoming a part of European cooking ever since the Spaniards brought them to the continent in the mid-1500s, the French were not so hot on the potato. They refused to accept the vegetable, referring to it as “hog feed” and believing that these tubers caused leprosy. In fact, the French Parliament officially banned potatoes in 1748. Along came Antoine-Augustin Parmentier, a French pharmacist who served as an army pharmacist during the Seven Years’ War between 1754 and 1763. It was during this time that the Prussians captured and imprisoned him, forcing him to eat potatoes as his prison rations. Parmentier’s prison experience was transformational. He had eaten potatoes and survived — no leprosy or other diseases. When he was released at the end of the war, Parmentier returned to his studies in Paris. 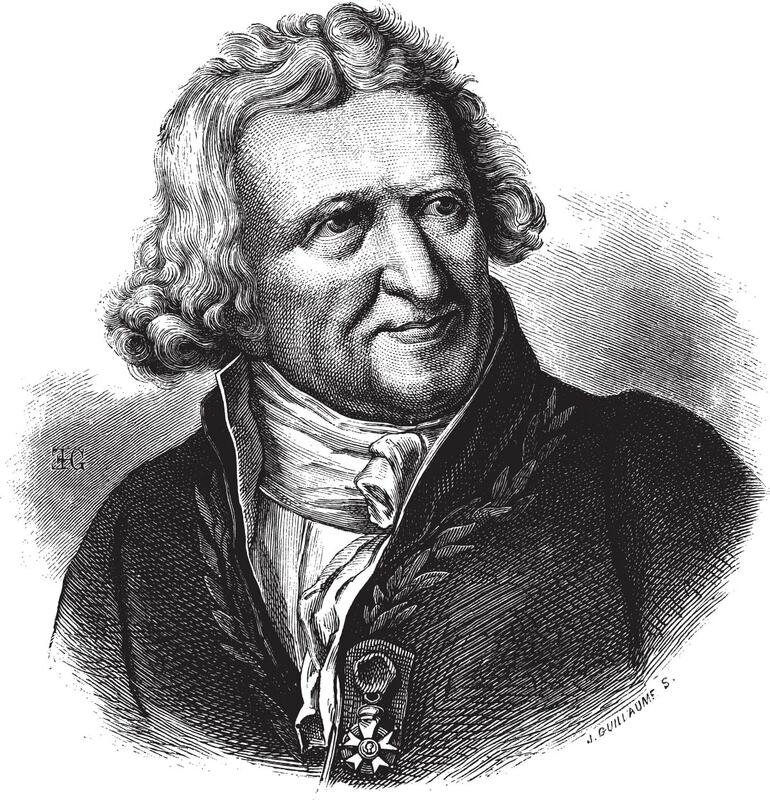 By 1772, his mission was to prove to the French that potatoes were delicious and good for you, and in that same year, the French government repealed the potato ban because of Parmentier’s pioneering work. In 1773, he even won an award from the Academy of Besancon for research that proved potatoes were a great source of nutrition for people suffering from dysentery. Still, even after all of Parmentier’s work, the French feared and hated potatoes. But Parmentier was undeterred. Determined to prove to his people that potatoes were, in fact, good, he started holding publicity stunts that included potatoes. He hosted stylish dinners featuring the maligned tuber, inviting such celebrities as Benjamin Franklin and Antoine Lavoisier. Once, Parmentier made a bouquet of potato flowers to give to the King and Queen of France. With the publicity stunts failing to popularize potatoes, Parmentier tried a new tactic. King Louis XVI granted him a large plot of land at Sablons in 1781. Parmentier turned this land into a potato patch, then hired heavily armed guards to make a great show of guarding the potatoes. His thinking was that people would notice the guards and assume that potatoes must be valuable. Anything so fiercely guarded had to be worth stealing, right? To that end, Parmentier’s guards were given orders to allow thieves to get away with potatoes. If any enterprising potato bandits offered a bribe in exchange for potatoes, the guards were instructed to take the bribe, no matter how large or small. Sure enough, before too long, people began stealing Parmentier’s potatoes. The thefts helped to popularize potatoes somewhat, but unfortunately for Parmentier, all of this was happening during the lead up to the French Revolution. Famine was rampant, and in fact, potatoes were used to help fight starvation in northern France in 1785. Still, people in other parts of France were suspicious and frightened, so when Parmentier published a paper about the cultivation and use of potatoes under the order of the King of France, it was ignored. It didn’t help that this paper was published in 1789, directly before the revolution began. It wasn’t until 1794 that potatoes really began gaining traction in France. This was the year that Madame Merigot published a potato cookbook. From this year on, potatoes became widely accepted as “food for the revolutionaries.” The following year, massive plots of potatoes were grown to feed rebels as they waged a long siege against the Paris Commune. Today, many French potato dishes are named for Parmentier. There is Hachis Parmentier, which is similar to shepherd’s pie with a mashed potato crust, and Potage Parmentier, which is potato and leek soup. Pommes Parmentier is a popular dish made with cubed potatoes fried in butter, sometimes with the addition of herbs, onions, garlic or bacon. Give it a try! Place large baking tray in oven and preheat to 375º F. Meanwhile melt butter and stir in parsley and garlic, if using. Heat oil in large frying pan. Over a moderate heat, add cubed potatoes and cook for 5-10 minutes, stirring occasionally to prevent potatoes browning or sticking to the pan. Remove rosemary leaves from their stalks and finely chop. Transfer potatoes to baking tray. Mix parsley/garlic butter in with the potatoes and sprinkle with rosemary and season. Roast for 30-45 mins, stirring halfway to prevent sticking. You might be wondering, how French fries, the most famous of all potato dishes, were invented? Both France and Belgium claim to be the birthplace of French fries, with anecdotal evidence saying that the invention took place in the 1780s in France or the early 1700s in Belgium. Historians dispute this because it is not likely that people would have wasted such large amounts of expensive oil to deep fry potatoes. I have never met a ‘tater that I didn’t like. I have eaten potatoes prepared any way one can think of. Mashed, fried. baked, salad, twice baked, scalloped, potato soup, V SHU SWA ? (not a spelling major)vegetable soup with cubed potato, french fries, Oh, one more buttered potatoes. I have never eaten a serving I didn’t like. Leave it to the French to take a lowly spud and make it a thing of passion and desire. I have yet to find a way I don’t love potatoes. My family would eat them every, single, day! Prepared anyway the potato always makes my day better. Thanks for makig me so humgry before breakfast, and not a single potato in the place!